As an Architectural and Urban Designer, Landscape Architect, and Certified Planner, Dr. Timothy J. Cassidy has a body of professional knowledge that spans the full breadth of the built and natural environment. 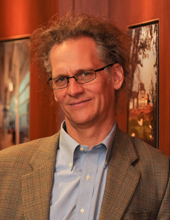 His professional experience encompasses a range of project types which include Urban Design, Sustainable Design, and Historic Preservation. Timothy continues to expand the firm’s engagement with projects which have an urban, community or neighborhood context where people have the opportunity to live, shop, work and play.